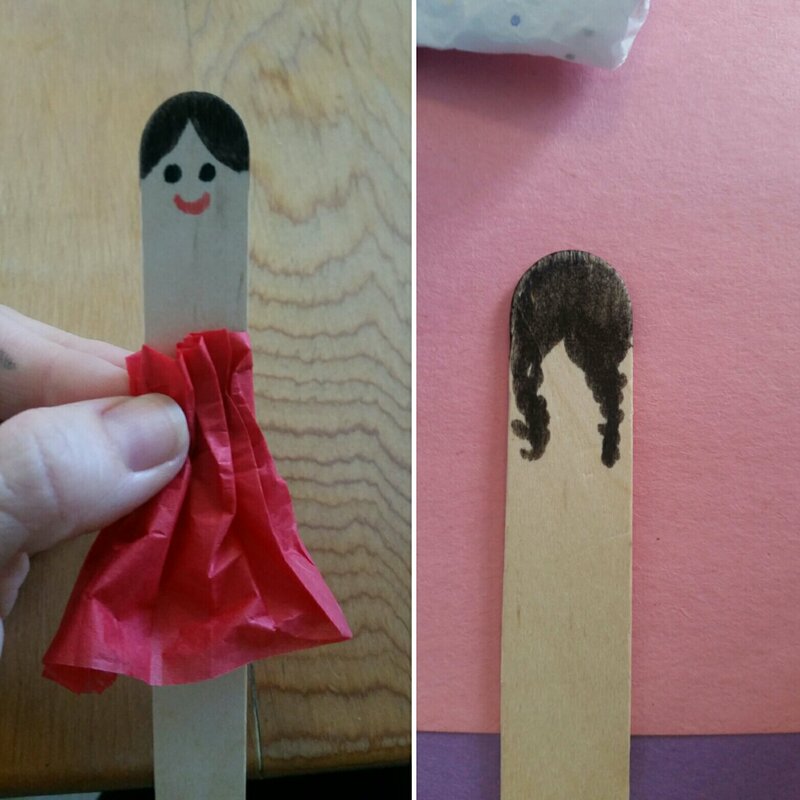 DIY Fairies In Two Ways! I was bopping around on pinterest during a middle of the night wide awake time (so frustrating!) the other day. If you’ve been reading my blog lately you know, there’s a lot of fairy play happening in our house, and yard, right now… summer of fairies parts 1 and 2 found here for your entertainment. 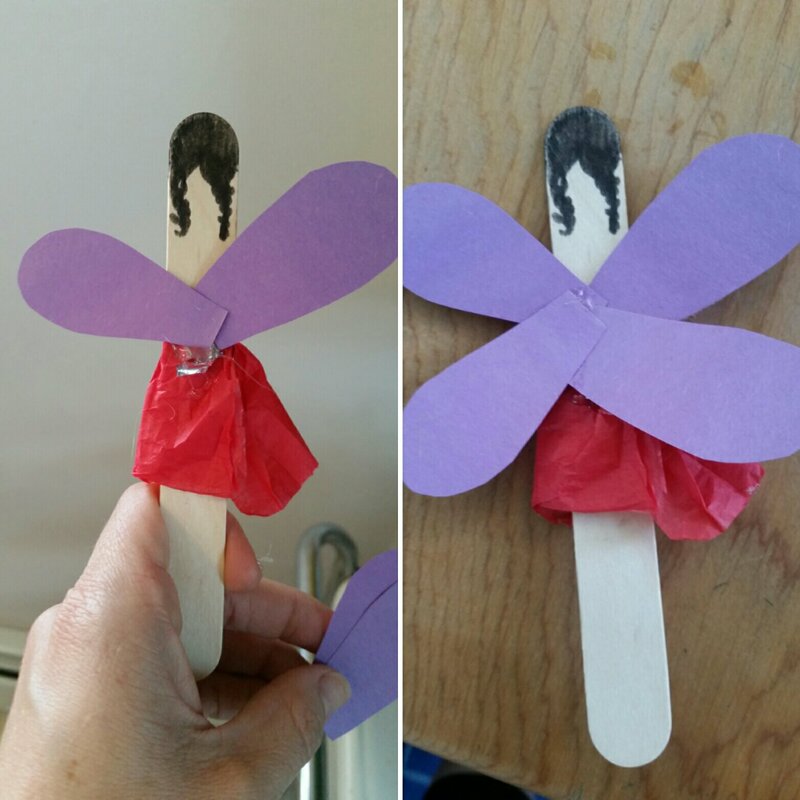 I picked up a few supplies at Walmart yesterday morning, and yesterday afternoon we made fairies- adorable fairies- in 2 ways! I drew on face and hair- she got braids in the back for fun! 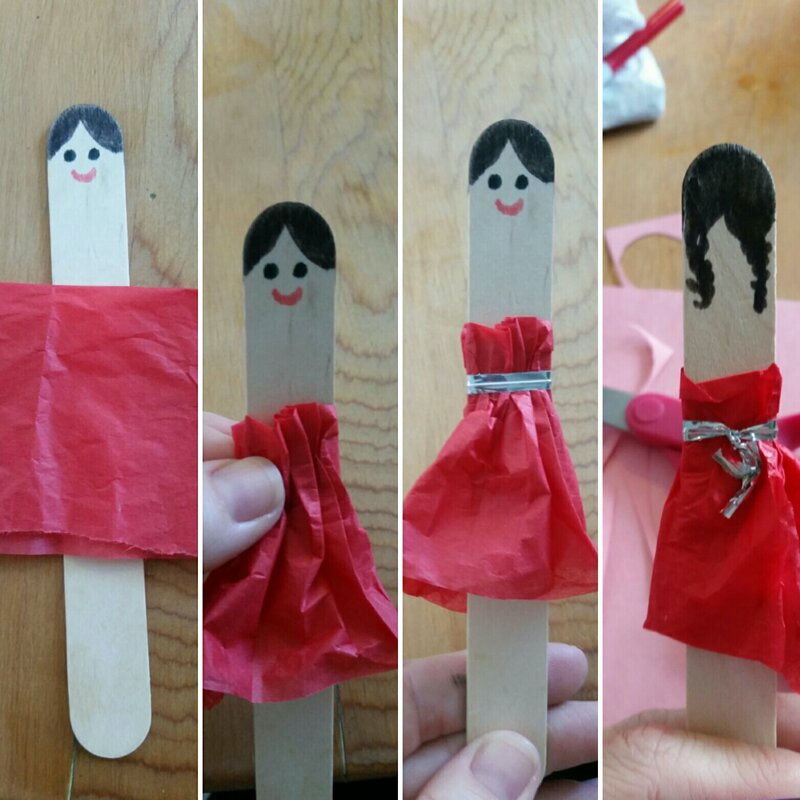 I used some tissue paper and a twist tie to fashion a dress. I cut 4 little wings out of construction paper and hot glue them in place. She got a little tissue bow, and some little matching marker shoes. Then I got to sit back and watch little children flutter those sweet fairies all over the place! 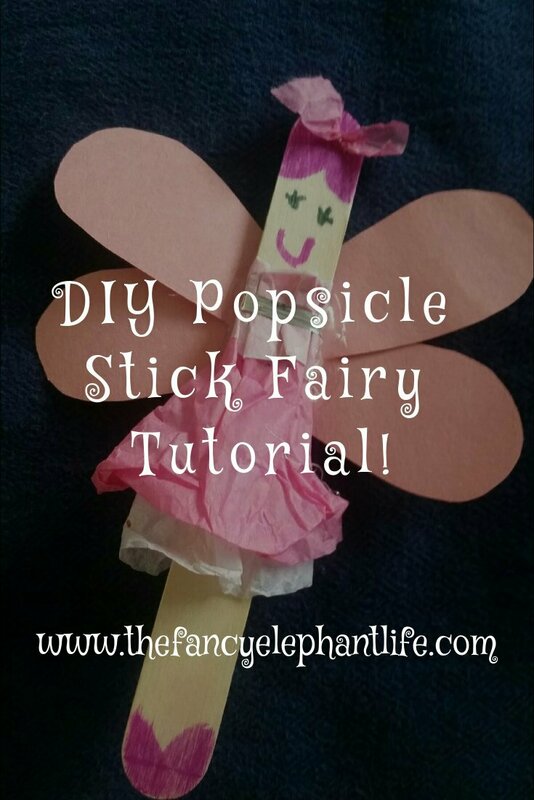 Now this fairy happened while the girls were playing with their popsicle stick fairies. I just couldn’t get the idea out of my head so I crafted her up all by myself- I think she turned out super cute. 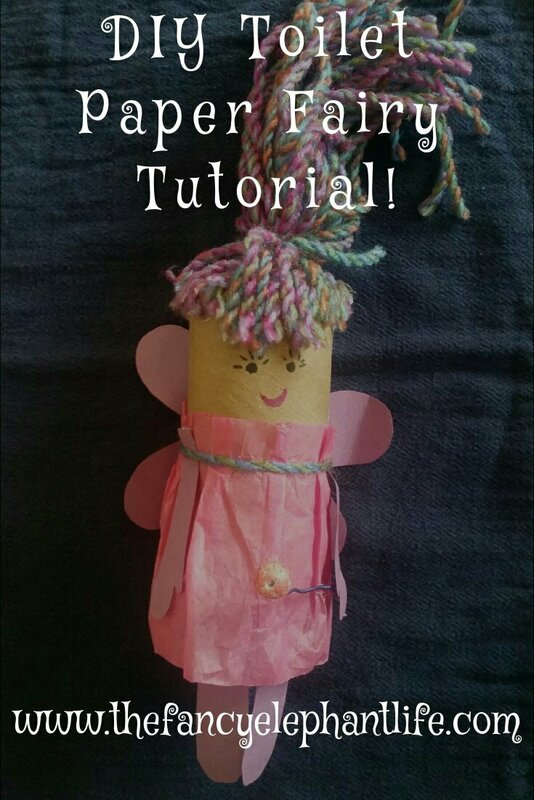 Cut yarn and glue around the top of one side of the fairy. I gave her bangs- then I used a piece of yarn to tie her hair together into a pony tail. I gave her a tissue paper dress with a yarn belt. She got a marker face complete with eyelashes! Then I cut construction paper legs and arm and hot glued them in place. Her wings were glued on! I felt she needed a wand so I used a little wire and a sparkly foam ball from my crafting “junk drawer” to make one. I glued it to her little mitten hand. 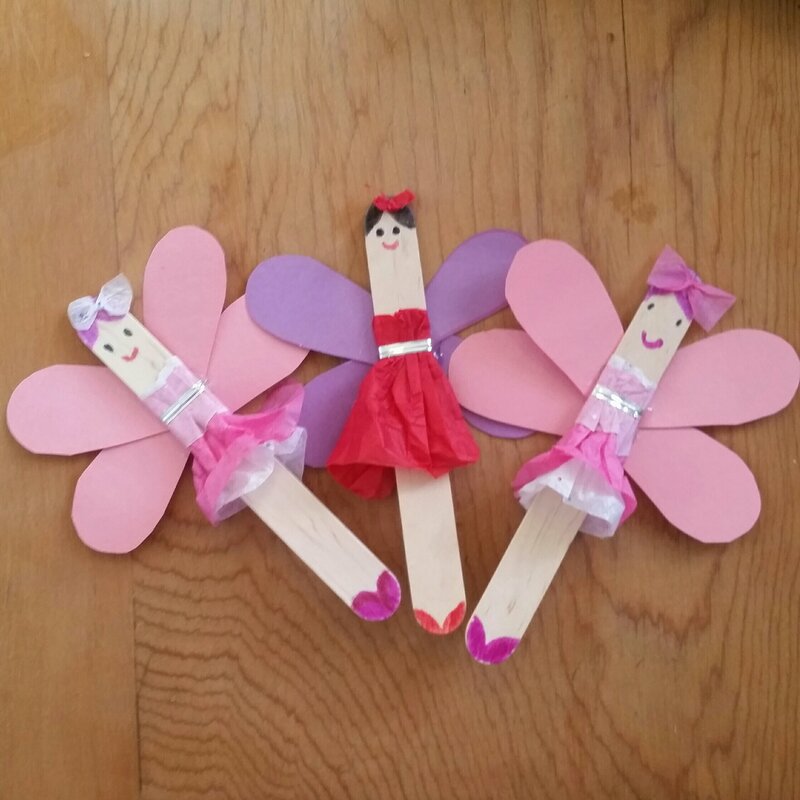 These fairies made for a fun and easy afternoon of crafts. Thank you for stopping by the fancy elephant! Have a beautiful day! Previous Post DIY Dress Up Rapunzel Hair Tutorial! Next Post DIY Mandarin Orange Candle! These are adorable and Little Miss just walked up and asked: “What are them?” I told her they are fairies that you can make. She said, “Let’s do this!” So tomorrow we have something to work on!